Do you remember what it was like to go trick or treating? Was there anything more magical than going door to door with a pack of friends, collecting candy until you just can’t carry your bag- or plastic pumpkin- for a second longer? I loved it as a kid, and it was just as good year’s later, when I secretly pirated candy from my kids’ bounty. 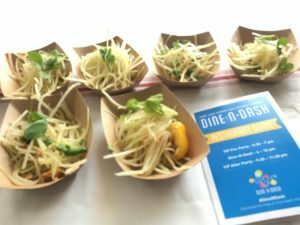 The Dine-N-Dash event, hosted by Chef José Andrés in Washington, DC on June 7, is basically trick or treating for foodies. 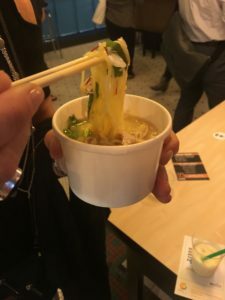 Dine-N- Dash provides guests the opportunity to dine in 30 DC restaurants, all in one night. 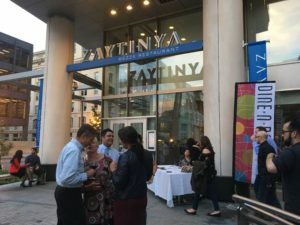 Participants choose their starting venue, and travel through Penn Quarter and 14th Street, enjoying a staggering variety of dishes and drinks. It’s easy to see who is in on the fun- they’re the folks wandering the streets with maps, wristbands, and an increasingly glazed look on their faces as the evening progresses. Participating restaurants are identified with a flag. It’s particularly exhilarating when you stumble on one when you have a different destination in mind. Once inside the restaurants- which are either completely closed or have a designated section for the event- the excitement is about discovering what they are serving. 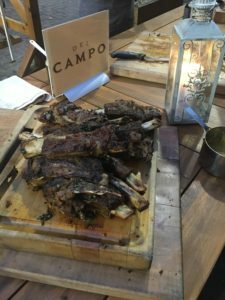 In some cases, the food is so abundant that it’s hard not to settle in for the evening (I’m looking at you- Doi Moi, Estadio, Jaleo, and Del Campo). But I took the event as a challenge to see how many spots we could conquer. In other words, it was about filling that trick or treat bag (or in this case our increasingly bulging tummies) to the brim. 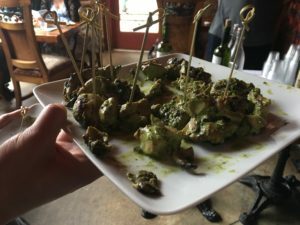 The event supports World Central Kitchen, so the indulgence is all for a good cause. At the point when we’re too stuffed, and a little too alcohol-laden for anything more, we are determined to make it to one more stop before calling it a night. Is there a better ending to Dine-N-Dash than a container of ramen at Bantam King? I think not. I have to credit my companion in gluttony at Dine-N-Dash for coming up with the Halloween analogy. As soon as she said it, I told her it was tweet-worthy. It must have been, because even Ted Allen from “Chopped” re-tweeted it. 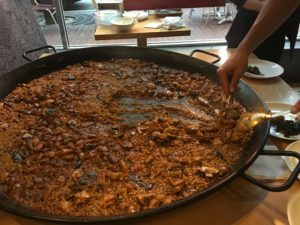 He was a celebrity guest at the event, along with Andrew Zimmern, who accompanied José Andrés in stopping by the various venues throughout the evening. Sadly our paths didn’t cross. “Trick or Treat Give Me Something Good to Eat” is the Halloween song that becomes my anthem for this evening. I’m counting the days until next year’s Dine-N-Dash. If you missed it, rev up your pumpkins for next year. World Central Kitchen. 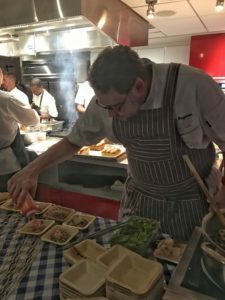 World-renowned chef José Andrés brings his passion for the “power of food” to World Central Kitchen: an international organization that focuses on Smart Solutions to Hunger and Poverty. 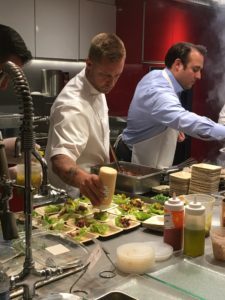 World Central Kitchen uses the expertise of its Chef Network to empower people to be part of the solution, with a focus on health, education, and jobs.